represent the exact boat that is for sale. When people think pontoon boats, they automatically think fun. You just can't beat a day on the water with friends. 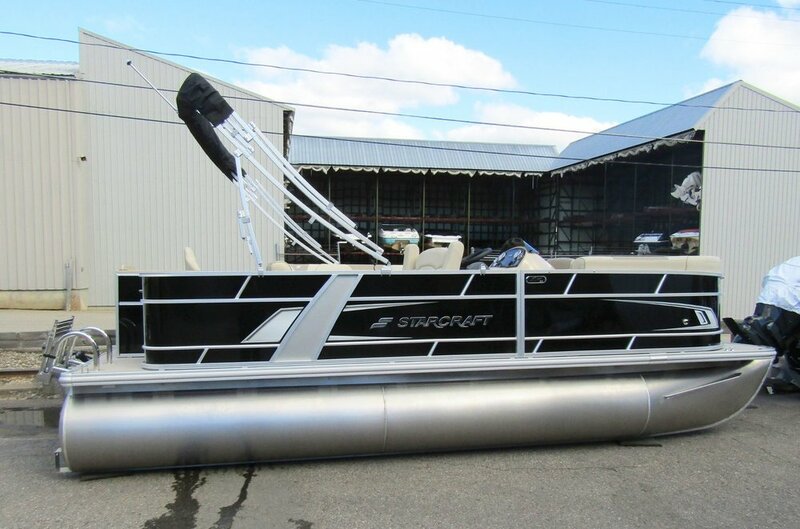 Whether you're serious about fishing, just want to cruise the day away, live to ski and swim or want to do it all, there's a Starcraft pontoon boat for you. 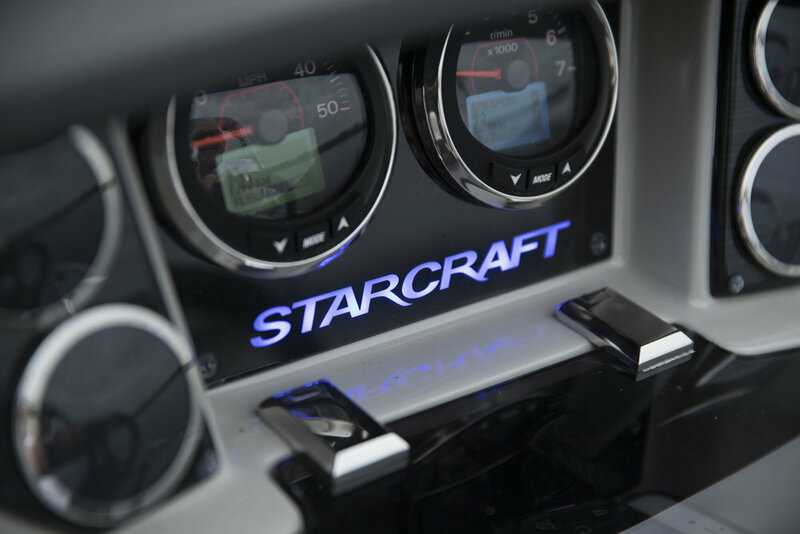 The all-new SLS-1 pontoon boat series is everything you'd expect from Starcraft. With loads of seating and storage space for a boat this size, no wonder it’s already so popular. Take a look for yourself. Starcraft pontoon boat innovation continues with the SLS series, featuring the award-winning HMX designed bottom voted “best pontoon boat hull”. With strategically placed strakes, HMX tubes give you better lift, less surface drag, increased speed, faster planing, softer drier ride, and a tighter turning radius for amazing performance and comfort. Only Starcraft can offer this important feature. 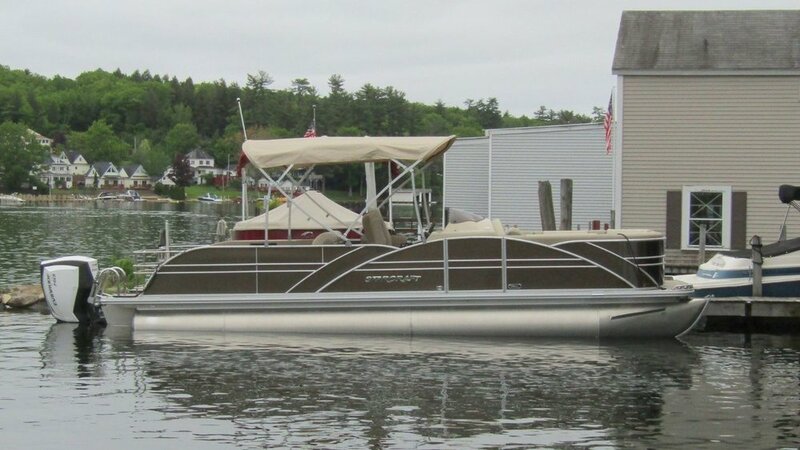 The SLS-3 pontoon boat by Starcraft offers plenty of details to impress with a standard third tube with HMX Performance Strakes, full fiberglass console, sea weave rear deck, sporty gray furniture, and a seating configuration that keeps everyone in the action. The SLS-5 pontoon by Starcraft offers plenty of details to impress with a standard third tube with HMX Performance Strakes, full fiberglass console, sea grass rear deck, sporty gray furniture, and a seating configuration that keeps everyone in the action. 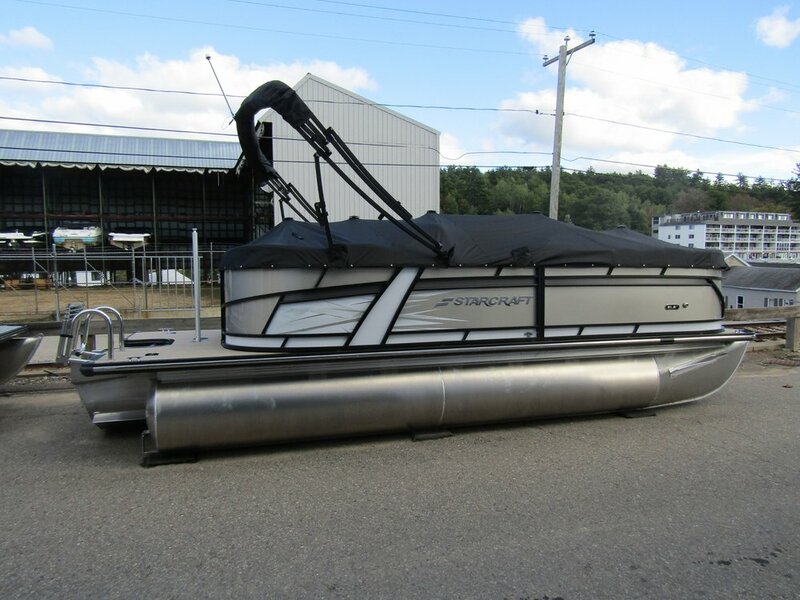 The Starcraft EX 20 R pontoon boat gives you an incredible value, with features that are sure to impress. 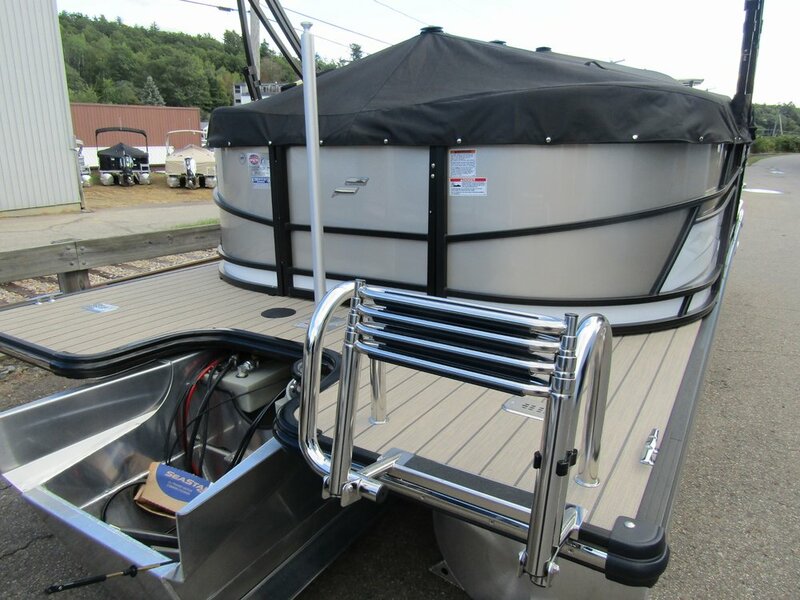 A rear stainless steel, telescoping 4-step boarding ladder allows for easy entry from the water so you can enjoy your favorite tow sports, and stretch out on the comfortable seating to enjoy a day in the sun. to give you years of strength and reliability. with a Limited Lifetime Warranty on every product. 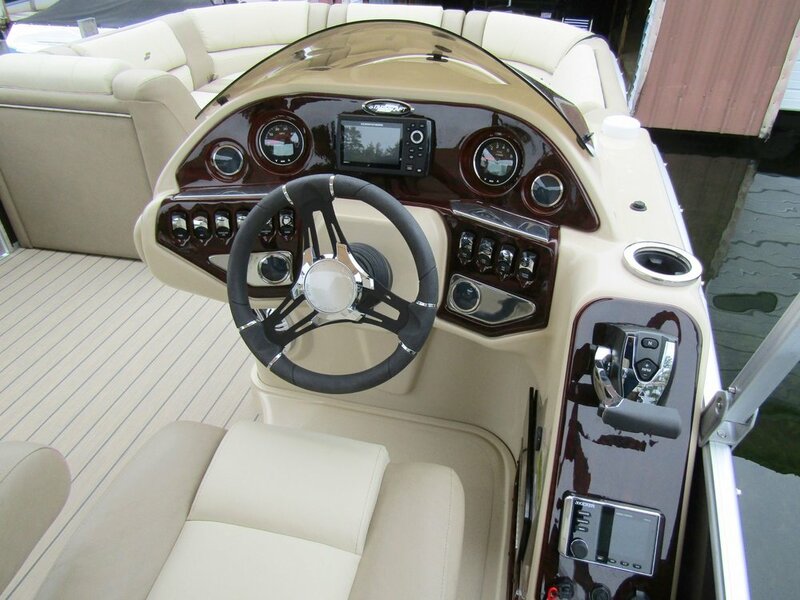 To see our selection of Pontoon Boats, visit our Showroom.